Islamic Republic of Iran booked their place in the AFC Asian Cup UAE 2019 quarter-finals on Sunday thanks to a 2-0 win over a gallant Oman at the Mohammed bin Zayed Stadium in Abu Dhabi. Alireza Jahanbakhsh’s smart finish and an Ashkan Dejagah spot-kick - both in the first half - helped secure Iran’s passage through to the last eight, on a night when Oman were left to rue an early penalty miss. 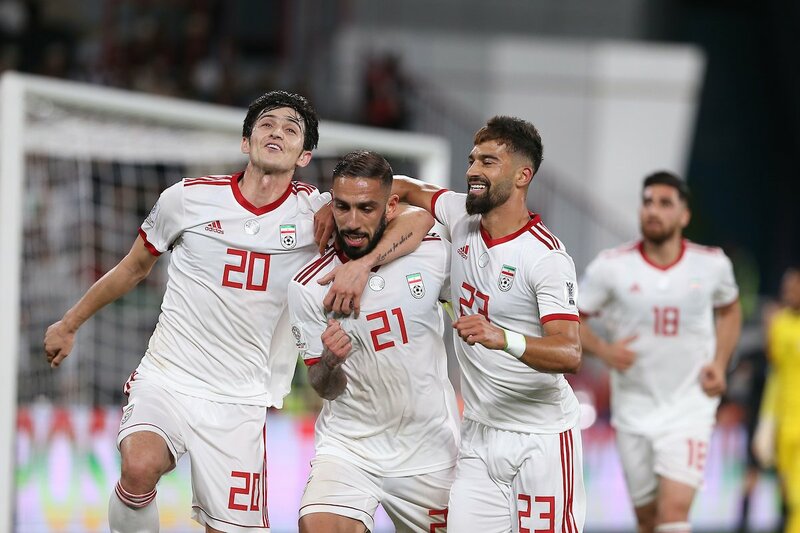 The victory leaves Carlos Queiroz’s charges still on track to win the nation’s first Continental title since 1976, and looking ahead to Thursday’s meeting with China PR in the next round after the East Asians beat Thailand earlier in the day. In a sensational start to the game, Oman were awarded a penalty in only the third minute when Majid Hosseini brought down the rampaging Muhsen Al Ghassani, only for Iran goalkeeper Alireza Beiranvand to superbly tip Ahmed Al Mahaijri’s effort from 12 yards around the post. Iran responded almost immediately through a fierce Sardar Azmoun drive from distance, and then a Mehdi Taremi effort which flashed narrowly wide. With Dejagah excelling, Iran duly broke the deadlock in the 32nd minute, Jahanbakhsh firing home after Mohammed Al Musallami had failed to cut out Milad Mohammadi’s speculative long ball. One was to become two for Iran just nine minutes later. Saad Al Mukhaini brought Taremi down in the area and Dejagah stepped up to convert the resulting penalty with ease and double Iran’s advantage. In the final moments of a pulsating first period, Beiranvand produced yet another fine stop, this time to repel Al Ghassani’s piledriver as Oman sought to reduce the deficit heading into the break. Iran could, and very possibly should, have extended their lead even further within eight minutes of the restart, but an unmarked Azmoun missed the target from 12 yards when Taremi’s long throw arrived at his feet. Taremi then brought the best out of Oman custodian Faiyz Al Rusheidi, while at the other end Harib Al Saadi fizzed a 77th minute shot inches over Beiranvand’s bar to signal a degree of hope for the Omanis. It was not be for the 2018 Gulf Cup winners however, as, after Taremi had missed a glorious chance to grab a third for Iran, the three-time champions of Asia held firm to confirm their place in the quarter-finals.